People become addicted to drugs and alcohol for many reasons. However, researchers have long believed that traumatic experiences during adolescence may increase people’s risk of developing addictions later as a teen. A recent study has strongly reinforced this possibility, and the evidence suggests that childhood trauma may increase the risk of teen drug use. From there, it is easy to extrapolate that teenage addicts often become adult addicts. Indeed, stressful and traumatic experiences prior to age 11 or so could set the stage for a vicious cycle of addiction that continues throughout an entire lifetime. Traumatic experiences are difficult enough for adults to cope with. It’s even worse for children, who don’t typically have effective coping mechanisms in place. In lieu of healthy ways to cope, then, it’s understandable that many turn to substances. The pain and stress that accompany living through traumatic experiences eat away at a person. All too often, they turn to drugs and alcohol as a way to escape. Unfortunately, abusing these substances creates a whole new set of problems. To cope with these new problems, many again turn to mild-altering substances, and a vicious cycle is born. Although many researchers have long suspected that there is a link between traumatic experiences during adolescence and addiction problems later in life, definitive evidence has been difficult to come by. A recent study by Columbia University’s Mailman School of Public Health, the first to focus on such associations among a national sample of U.S. teenagers, has revealed some pretty incredible information. The study, which was published by the Journal of the American Academy of Child and Adolescent Psychiatry, involved a national sample of approximately 10,000 U.S. adolescents. Ultimately, it concluded that psychological traumas before age 11–in particular, domestic violence and abuse–increased the odds of experimentation with drugs during the teenage years. This is true whether or not the individual suffers from a mental illness. Exposure to traumas increased the odds that teenagers would try cocaine, marijuana, prescription drugs and other substances. Further, the more traumatic experiences that a child experiences, the higher the risk that they will experiment with substances as teenagers. The study revealed that traumas like domestic violence and abuse are particularly harmful. However, other traumas, including natural disasters, major childhood illnesses, the death of a parent and car accidents, increased the risk as well. Kids who experience traumas and who have at least one parent who abuses substances are even more likely to develop addiction problems. This may be due to a genetic predisposition, easier access to substances, a lack of parental involvement or simply because they see their parent coping with stress in this way and decide that it’s the way to handle such issues. Do Childhood Traumas Trigger Changes in the Brain? Incredibly, an earlier study revealed that traumatic experiences during the adolescent years may actually change kids’ brain chemistry in a way that makes them more susceptible to substance abuse. The study was conducted by the University of Texas a few years ago and involved 32 teenagers. 19 of them had been maltreated during adolescence while the control group had no such experiences to report. Those who were maltreated either suffered from major traumatic experiences or from significant abuse or neglect that lasted six months or longer. Researchers followed the participants over the course of about 3.5 years and followed up with them approximately every six months. Five of the maltreated teenagers and one from the control group developed major depression while four of the maltreated teenagers and one from the control group developed substance abuse issues. Brain scans conducted by researchers revealed that maltreated kids showed connectivity problems in certain parts of the brain. Most notably, these issues appeared in the superior longitudinal fasciculus, or SLF, which is responsible for planning behavior and in the cingulum hippocampus projection, or CGH-R, which is associated with connecting emotional processing regions of the brain with areas that are responsible for abstract thought. Although a lot more research needs to be done, what’s clear is that for many addicts, coming to terms with past traumatic experiences may be the key to overcoming addiction. This information suggests that it may be useful to intervene with children who experience traumas to teach them effective coping strategies before they are tempted to turn to substances. That way, the vicious cycle of addiction may be nipped in the bud and even prevented from happening in the first place. 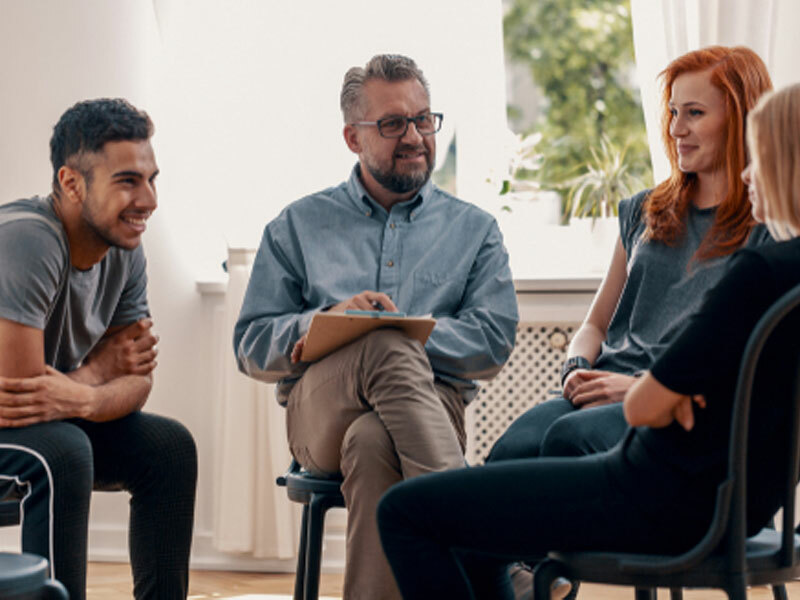 As for those who are already actively addicted, psychotherapy and other types of counseling could prove to be essential for long-term recovery–and for effectively and healthily dealing with traumas in the future.